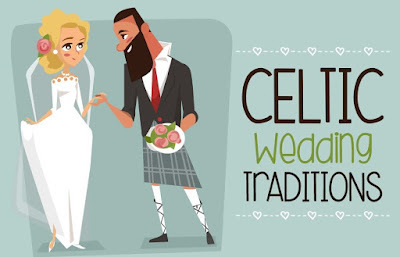 The ceremony involved clasping the man and woman’s hands together and binding them with a rope, cord, or a ribbon. Once their hands were bound together the Celtic Druid would loudly proclaim to all in attendance that they were engaged. They were engaged for one year and if at the end of that year they wished to formally marry they could, or if they did not, they could break the ‘handfast’. 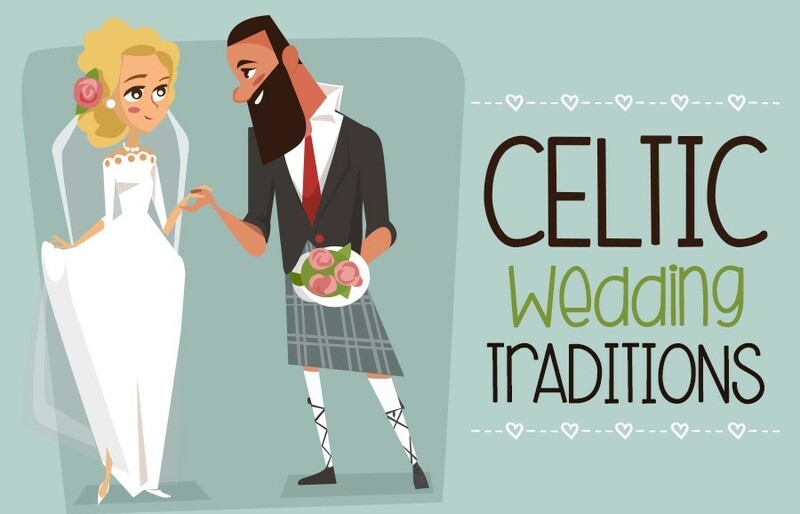 For an illustrated look at many more Celtic nuptial traditions, see the below infographic created by Celtic Cross Online.